Truth be told, I hadn't heard of Harlem (yeah, alliteration!) until I got a chance to chat (again) with them on Twitter. Personally, I like herbal liqueurs. A nice cold shot of Jager is, sometimes, the best medicine for a heavy meal. A digestif is always nice. 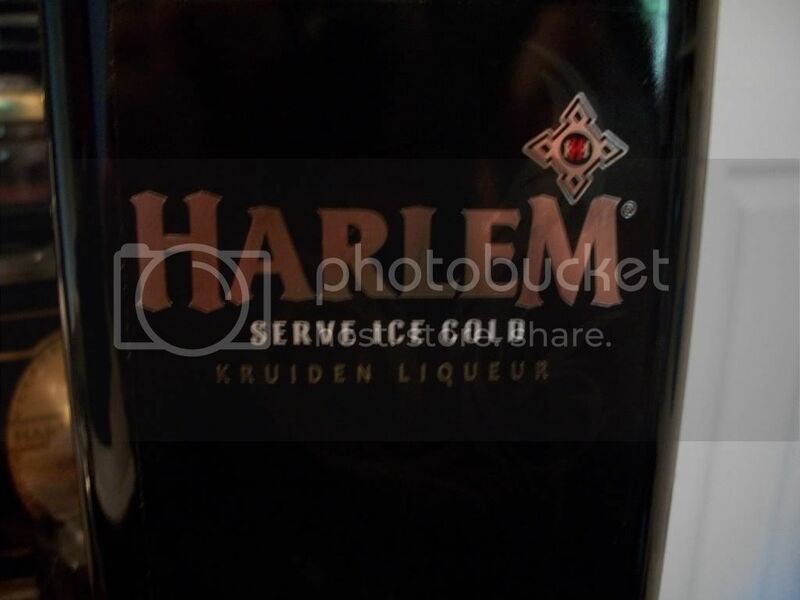 Needless to say I wanted to try some of this Harlem liqueur and the Harlem people were happy to oblige. So they sent me a bottle and told me to go nuts. No, I didn't mix it in Red Bull. I didn't need to. Or want to. Why? Because it's not Jager. It doesn't look like Jager, it doesn't smell like Jager, it doesn't taste like Jager. 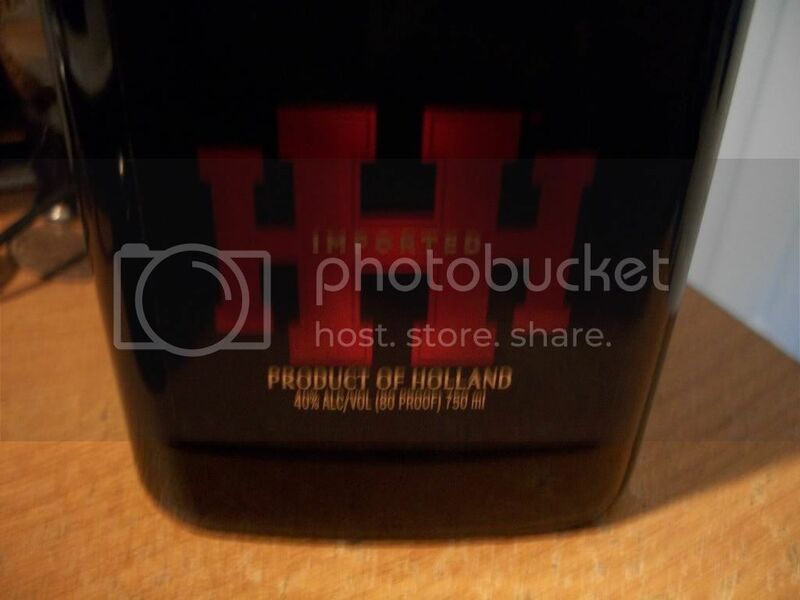 It's from Holland, not Germany. It's a creature all of its own. And it's quite delicious (if pungent). I tried it warm (to get a sense of what's in it) and cold (to see how it it fares in the serving manner of most bars). Here are the results. And some pictures. Oh, hello bottle. Fancy meeting you here. On my desk. Come closer, you say? Of course you don't bite. You're a bottle. A fancy bottle. Showing me your bottom! You naughty minx. Nose: Wheeeeeew. The nose on this is pretty intense. Bitter orange, anise, clove. Makes my nose tingle something fierce. Cinnamon. It's hard to pick individual spices out. The overall combination gives it a bubblegum smell but as you sniff it different herbs poke out to tantalize you. Crafty spices. Always getting the best of me. Taste: Wow....uh. It's really hard to describe but I'll try. That bubblegum flavor comes through along with clove. Peppery too. Very intense. Has hints of cola to it too. Very warming as well. Almost fiery. It's a really unique beverage to be truthful. There's definitely bitter orange in this though, it's really strong and puckering in the background. This is almost overbearing warm. Now I know why they say to drink it ice cold. Nose: Ahhh, much better. The smell has calmed down to a level at which it doesn't feel like my nostrils are being assaulted by Marines jabbed with needles of adrenaline. The strongest smell is clove overlaying bitter orange. A delicious earthiness comes out as well, providing balance and contrast to the sweeter aromatics. That nose-tingling aspect has vanished as well. Lemon peel too. Anise maybe? Taste: Mmmmm, now this is some cracking good stuff. Everything has toned wayyyy down. It still has a pleasant alcohol bite to it (it's 40%, not 30%). The clove has dimmed quite a bit; instead of dominating everything it intermingles with the orange. The cola flavoring has turned from hints to prominence on the finish. Lemon and ginger too. Ok, here's how this works. 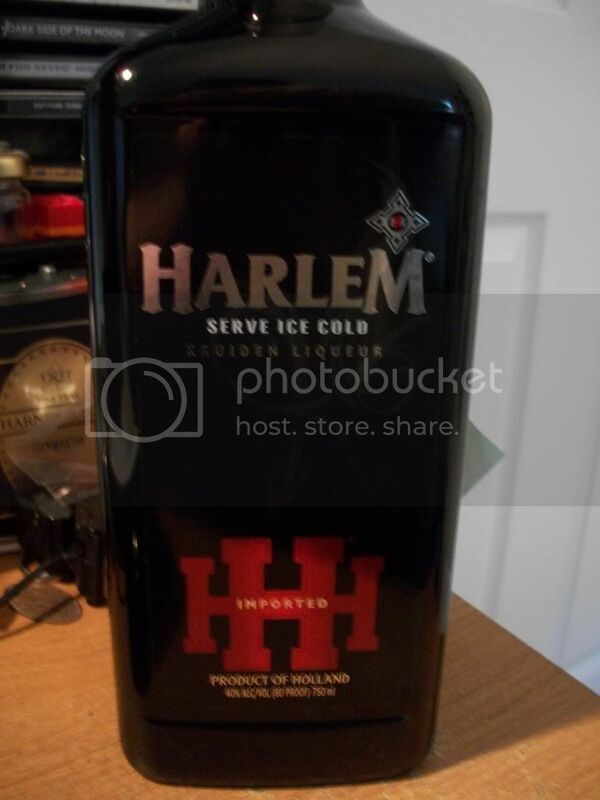 Step 2: Look at bottle of Harlem sitting on your counter. Revel in its beauty. But under no circumstances are you to drink it warm. EVER. SENSORY OVERLOAD. Step 3: Put bottle of Harlem in freezer. Step 4: Wait 2 hours. Step 5: Sip on ice or in shots. It's actually a really fascinating drink. I wouldn't, couldn't, and shan't drink it warm again. It's just too overbearing warm. You actually need the cold to condense and limit the fragrance. But cold, it's pretty nice. Definitely nothing I've ever had before...but nice none-the-less. This definitely ISN'T a substitute for Jager; I find Jager to be completely different. Harlem is definitely far more citrus and cinnamon / clove while Jager has a more herbaceous, "green" taste to it. But I'd be intrigued to see how this functions in a Jagerbomb like setting. I think I'd call it "The Harlem Cannonade". Because, let's be honest here...cannonade sounds like a beverage. Lemonade and flying iron. Mmm.